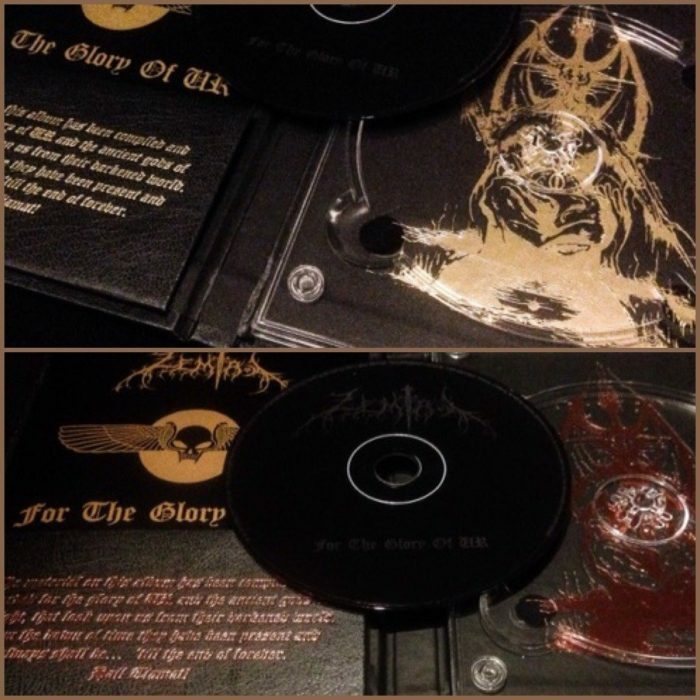 Greek black metal band Zemial have reissued their debut album, For the Glory of Ur, in a limited edition digipak. The CD is a self-release exclusively available for purchase from the band’s BigCartel page. If you’re a compulsive collector who has to have everything that wasn’t terrible from the mid 90s, maybe you will need this. Re-mastered to be heavier and darker than before, as originally intended. The cover comes in two noble editions: black with gold foil and black with copper foil. Featuring an embossed Zemial logo on the back. Made entirely by hand in Greece. 25 euros for one CD? Cool price. How do I get a Carnage – Dark Recollections album with lyric sheet? Been looking everywhere, can’t find lyrics to Death Evocation. Starting to get worried and supremely pissed. Want to buy a press with lyrics intact before the brain police eradicate all evidence such a thing existed. Buy a copy of Like an Ever Flowing Stream. Carnage didn’t publish most of their lyrics.